Join in the fun and celebrations of Swansea Pride 2019 from the “The best seats in the house” as Old Havana / Juniper Place hosts a rainbow day party with the best, most prime position to watch and spectate Pride over at the National Waterfront Museum site. Get your VIP access to this brilliant day out, where you can head back and forth to the main Pride celebrations throughout the day. Delectable and delicious food will be available and served between 12pm and 7pm at Old Havana and the rainbow drinks will be flowing, as well as the opportunity to sample the finest Cygnet Gin Swansea has to offer! 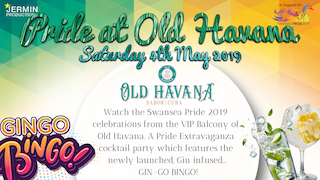 Following the live entertainment from Swansea Pride, Old Havana will play host to the most hilarious Pride themed Bingo and Swansea’s first ever GIN-go Bingo!! !- a spin off on the traditional Bingo Game.. with a chance to win sensational supplies of gin right from Juniper Place, the only place in Swansea with its very own gin micro-distillery! Get the Pride Party started with Swansea’s trendiest beverage of the moment! 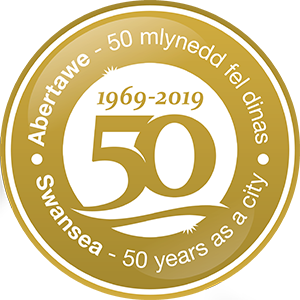 Entry includes unlimited access to the venue Old Havana, one complimentary drink and the Gin-go Bingo entertainment… A Boujee day out for all Swansea socialites.. with the perfect day pass for Pride in Swansea 2019!